Valtek – part of the Flowserve group of companies – are one of the leading control valve manufacturers, particularly in the Oil and Gas Exploration and Production industries. Their control valves and associated products have earned a reputation for being high. This reputation has been gained not only with standard control valves, but also for Valtek advanced products such as MarkOne, ValdiskTM, ShearstreamTM, StarPacTM intelligent systems and LogixTM digital valve controllers. Valtek products are known for handling the most severe services: cryogenic, superheated steam, volatile and corrosive fluids, erosion, high pressure drops, vibration, cavitation, flashing, and high noise levels. Valtek valves are equipped with spring cylinder or spring diaphragm actuators that provide the thrust and speed necessary to manage any service. Valtek four-way analog and digital positioners provide accuracy and response to handle the most exacting applications. Controlled Repair are the only Flowserve approved Service Centre in the South and South East Regions of the UK. For more information on the Valtek range of products, please visit their website. The Valtek ® Mark One globe control valve offers superior performance in liquid and gaseous services, while also permitting easy, fast and inexpensive maintenance. The spring-cylinder actuated Mark One valve provides stiffness and maintains high positioning accuracy, repeatability, controlled high speed, and faithful response. The Mark One valve handles up to 150 psig (10.3 barg) supply air and has the thrust to shut off against much higher fluid pressures. The new Valtek GS product line is low cost, compact and light-weight. Yet, it is rugged and can be used safely and confidently in a wide range of general service applications plant-wide. Its modularity provides trim and material options to suit most service situations. Simplicity of design reduces maintenance and parts inventory costs. 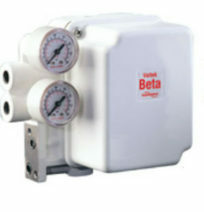 Ideally suited for flow and pressure control of liquid and gas media in oil and gas, power, chemical, and petrochemical processing and related industries, the Valtek GS package provides flow rates, control accuracy and reliability at levels comparable to special engineered service control valves, but at a significantly lower total cost. The FlowTop control valve is a high-performance, general service valve coupled with the high thrust FlowAct pneumatic diaphragm actuator. 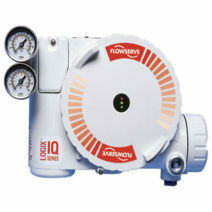 The Logix 500 positioner is mounted standard on FlowTop control valves. The Logix 500 simplifies and reduces calibration time to 20 seconds or less by pushing two buttons. The easily installed HART compatible positioner makes the FlowTop/Logix 500 combination the best choice for general service valve applications. There is no need for additional software or software support and upgrades. Handheld devices are not needed to calibrate this valve, making it the highest performing, low cost solution for general service valves. Designed for use in ANSI Class 150 or 300 service applications, the FlowTop control valve is capable of operating within temperatures ranging from -50F to 800F (-46 to 427C). Available in sizes 0.5 to 4 inches with a carbon steel or stainless steel body. It features flow under, single seated trim with a post-guided valve stem to eliminate cage guiding problems. The Valtek MaxFlo 3 control valve is a high-performance, eccentric rotary plug design capable of operating temperatures between -148 to 750 °F (-100 to 400 °C) with body ratings ASME 150 through 600 and DIN PN16 through PN63. The MaxFlo 3 eccentric plug offers range ability up to 160:1 – compared to 50:1 for typical globe valves and 20:1 for most butterfly valves. The flow-path is unobstructed by the shaft, allowing higher capacity for a given valve size. A heavy-duty, non-crossover shaft is out of the valve’s flow path. This superior design allows higher flow capacity for a given valve size. It also eliminates shaft damage from erosive process fluids. Many other manufactures’ designs allow the shaft to crossover the flow path, resulting in lower flow capacity and shaft wear. The Valtek Beta positioner is a single or double-acting, force- balanced instrument that provides fast, sensitive and accurate positioning of diaphragm or cylinder actuators. It is available with either a pneumatic module for air control signals or an electro-pneumatic (I/P) module for milliamp current control signals. Designed for high performance, this positioner is compact, field reversible and ruggedly built for reliability in severe industrial environments. The Flowserve Logix 3000MD series high-performance digital positioner utilize state-of-the-art piezo technology to provide superior performance and reliability. This is accomplished through the use of a powerful 32-bit microprocessor and a proprietary two-stage electronic relay. Among the Logix 3000MD series more attractive features are the on-board QUICK-CALTM button, DIP switches, Jog buttons, and variable gain selector. These features allow the user to complete setup and calibration of either diaphragm or piston operated valves in a couple of minutes, without the need of additional handheld devices or software.